After seven weeks of dissecting Social Security, again from our Private Client Roundtable, this week we begin digging into Medicare. According to our speaker Mr. Tom Clark, as you will hear in great detail, Medicare is even more important and dynamic than Social Security. 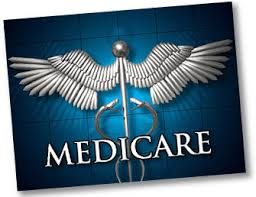 We have a new Medicare Page on this site as some are still not receiving the all important audio portion on the email notification. Since there is a cost, you can turn down Part B .. but wait ..
according to our speaker Mr. Tom Clark. Thank you for listening to our ongoing analysis of Social Security and Medicare from our Private Client Roundtable Event. This entry was posted in Audio, Education, Investing/Financial Planning, Medicare and tagged Medicare, Medicare Part A and B, Part A, Part B. Bookmark the permalink.